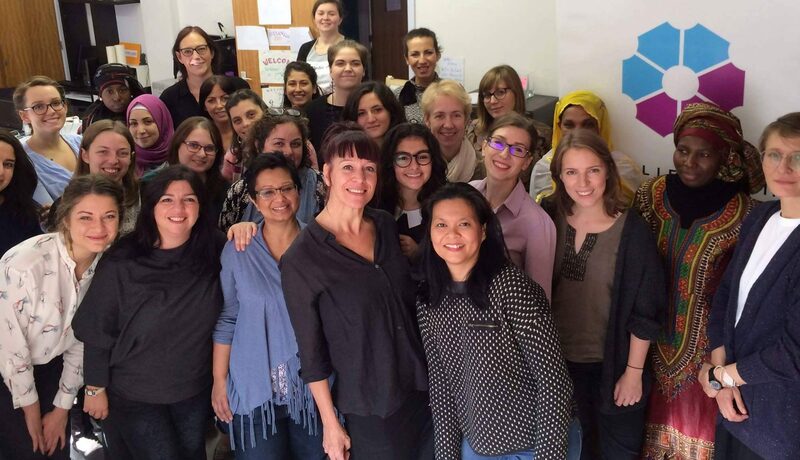 As part of Code Week Europe 2016, on 15-16 October in Brussels, sixty teen and adult women–ranging in age from 15 to 55 and representing upwards of twenty-five nationalities–gathered at the Digital Leadership Institute’s inQube space for a Move It Forward “female digital starters” weekend. 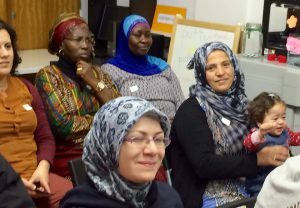 Through expert support and hands-on workshops on web development, app coding, the cloud and CRM, participants built and launched their own enterprises in support of women refugees and asylum seekers in Europe. 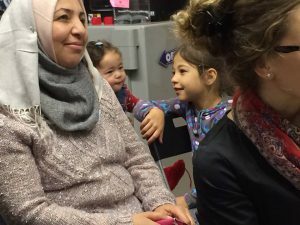 Attendees of the Move It Forward event, twenty-five percent of whom were refugee women from across Europe, enjoyed an entire weekend dedicated to learning digital and entrepreneurial skills taught by DLI and its world-class technology partners, including Amazon Web Services, Onboard CRM and MIT AppInventor for Android. 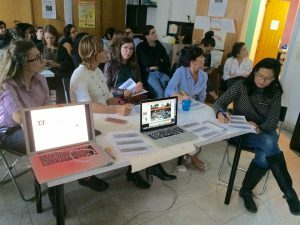 On 23-24 January, forty teen and adult women gathered at DLI’s inQube space in Brussels to develop websites and smartphone applications, and to launch their own enterprises to tackle cyberviolence and promote online safety for girls and women. 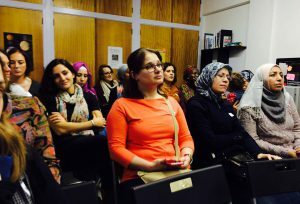 Participants of the first-ever Move It Forward Brussels female digital starter weekend — organised by DLI and subsidised by the Brussels Capital Region — came from across Brussels and around the world, to improve their tech skills and try their hand at entrepreneurship.